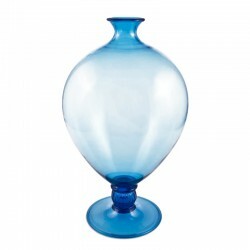 Handmade in Murano art glass. 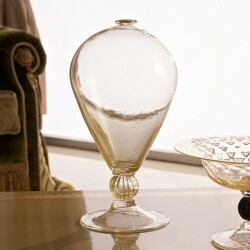 Dimensions: about diameter 22 cm x H. 35 cm . 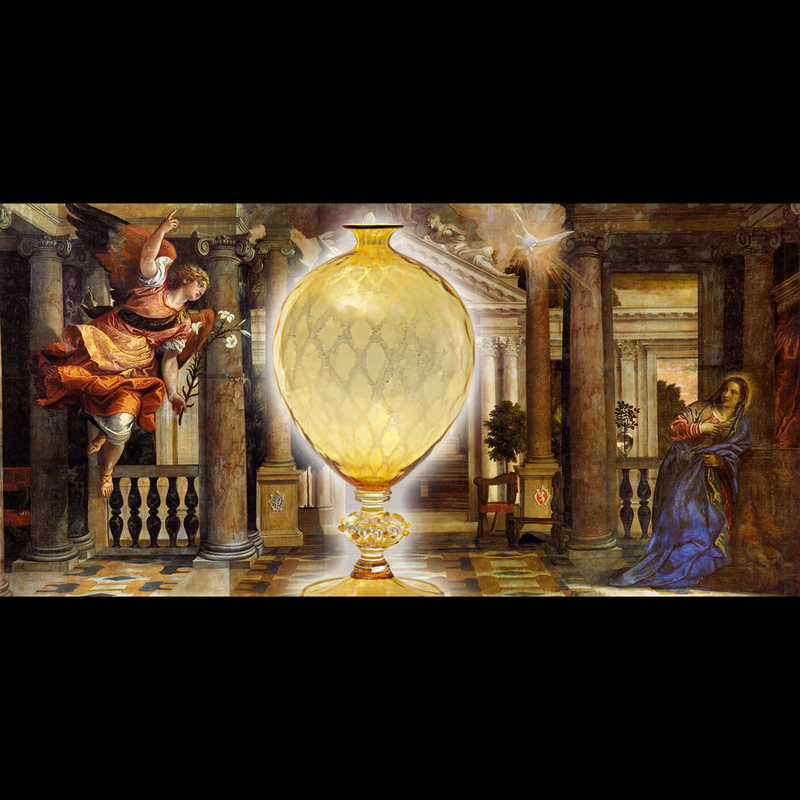 The Story of Veronese vase: Paolo Veronese was an influential Renaissance painter who made a significant impression on the world of art and design. His impact on design is unique, since it only materialized around 400 years after his death when in the 1920s his rendition of a distinct glass vase in his painting “The Annunciation” (1570) inspired glass blowers to actually create the vase. Since then, various artists have turned to Veronese’s vase for inspiration.